I think it’s safe to say that the warm weather is (finally) here to stay for the season. Aside from a bit of rain yesterday, the weather has been absolutely gorgeous. As much as I love the hot, sticky temperatures, it can be a little bit tough to get dressed for work. I’m not sure why, but it’s almost always freezing in the office! Lucky for me, I have a “work blanket,” which has become my semi-permanent accessory these days. The outfit that I’m sharing today isn’t exactly ideal for work (unless your office is super casual), but the shoes definitely are. I mean, look at those heels! It’s funny how infrequently I wear heels during the colder months, because at this time of year, I can’t get enough. 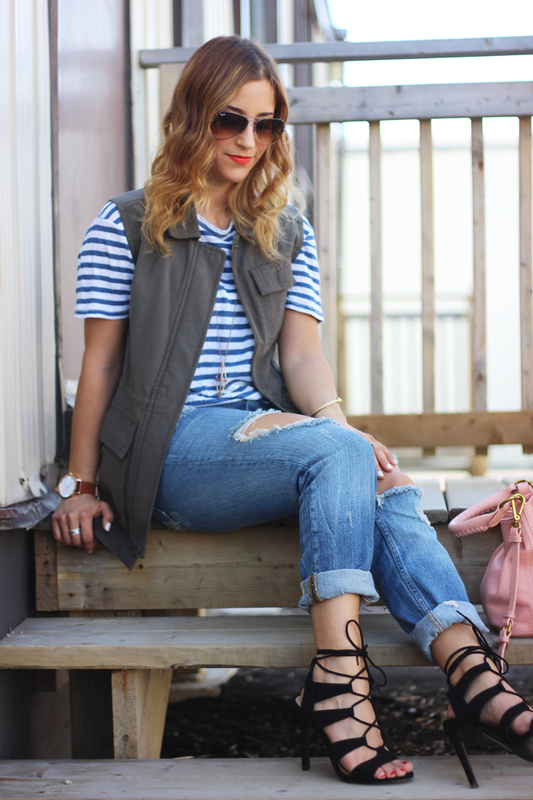 Wedge sandals, chunky heels, or lace up pumps – I don’t discriminate! 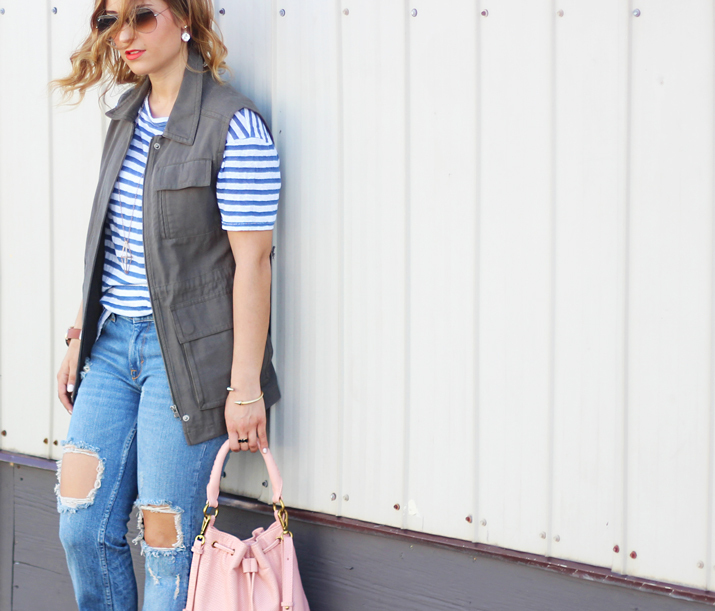 Lace up pumps and jeans (especially when they’re distressed) are one of my go-to outfit combinations for spring and summer. 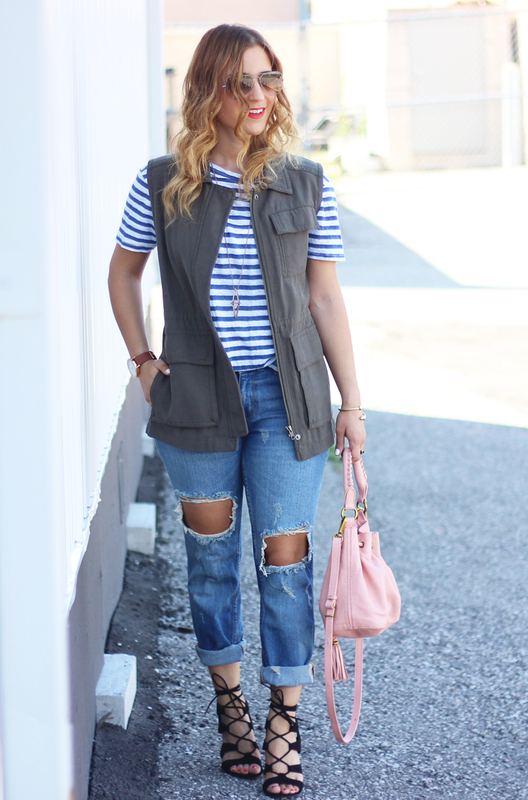 I love the way the denim gives off that comfortable, cute vibe, while the heels add that feminine edge. If you’re not one to splurge on heels, but you want to give the lace up pumps and jeans combination a try, I can’t recommend these enough! I scored these pumps at Target a few weeks ago, and aside from being adorable, they were also a total steal. Yes, it was worth the drive to the States! Do you find yourself wearing heels more often at this time of year too, or is that just me? 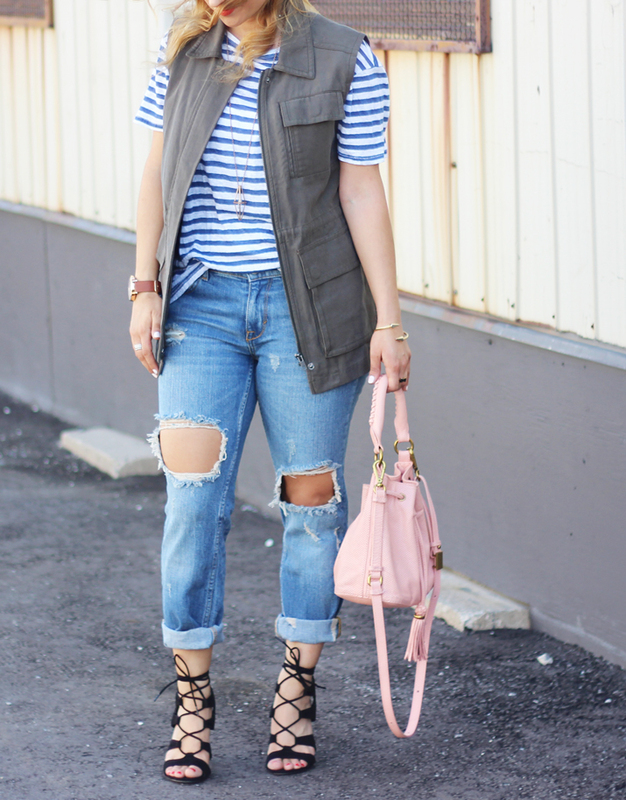 Loving this combo of distressed denim, stripes, and heels. I totally have a work blanket too! I love those jeans! haha and I’m sure you know how I feel about lace up sandals. The last photograph is awesome! i refrain from buying every lace up pair of shoes ive seen recently – they are such a great style! This is actually my FIRST pair of lace ups! I’ve since added to the collection, but I feel like I’ll have to refrain soon enough. They’re just so cute though! You’d get along just fine with us! I feel like we spend half the day complaining that we’re freezing. Those lace up heels are AMAZING and they look so good with boyfriend distressed jeans! Thanks Rach! Target for the win! Those shoes are fabulous! I can’t believe they’re from Target! 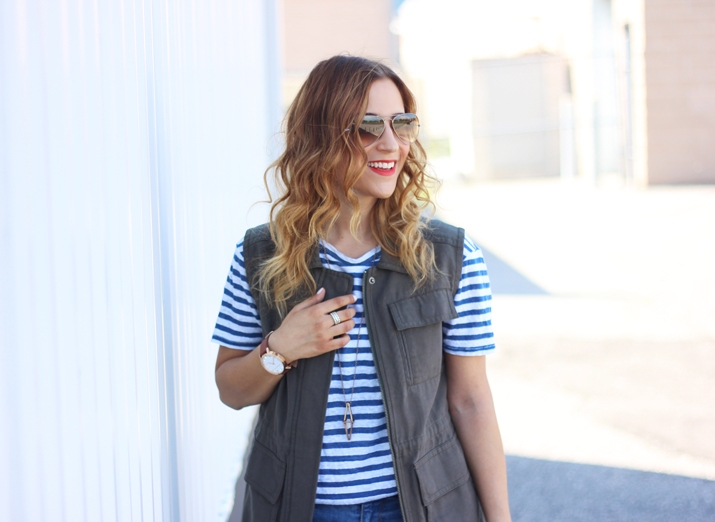 They really elevate this casual-cool outfit! This is such a cute outfit! 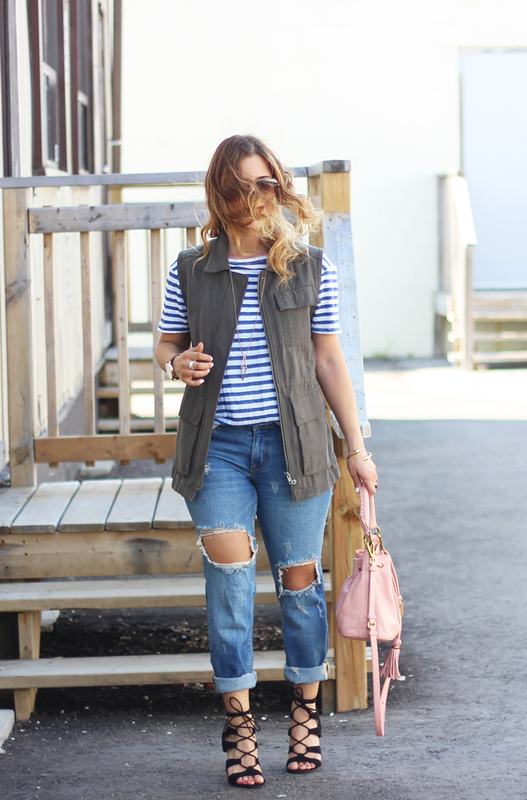 I’m always looking for new ways to style my boyfriend jeans! Thanks Laura! 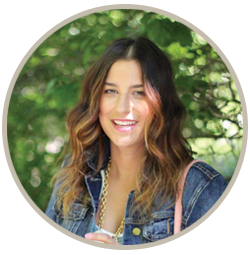 I hope I helped inspire your next outfit! Love this look. 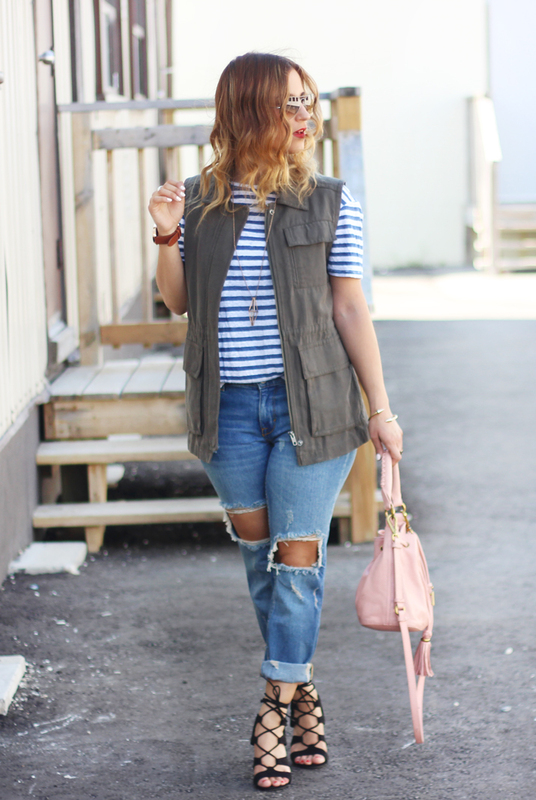 This casual cute outfit! Those heels and jeans are so perfect together! I really want distressed jeans like these. Holy crap, obsessed! Love this outfit to death! Those shoes!!!! *heart eyes* Love em! This is one of my favorite looks, super versatile and yes those shoes are amazing!! 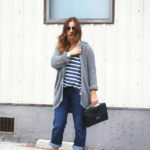 Very fun, casual and chic outfit!! 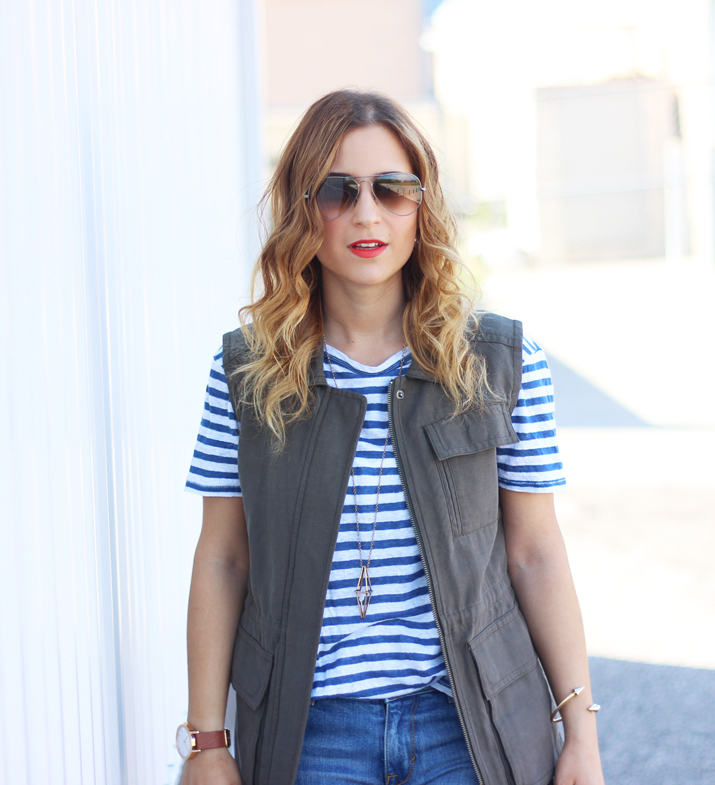 I adore the vest and that striped tee! What is it about offices – they are always freezing! I have a work blanket, too. 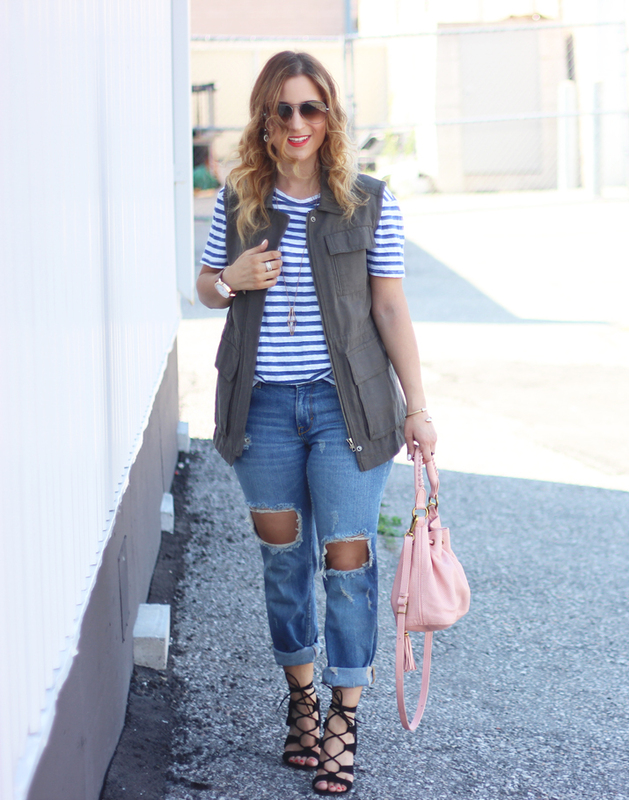 Love this look, especially those sandals!